We specialize in growing fresh cut flowers and foliage using sustainable practices. Our flowers are healthy and beautiful! Bulk buckets of farm-fresh flowers for DIY weddings and events. Full service and a la carte wedding and event floral designs. Flowers and foliage for florists, floral designers and flower shops. Photo by Caylie Mash Photography. 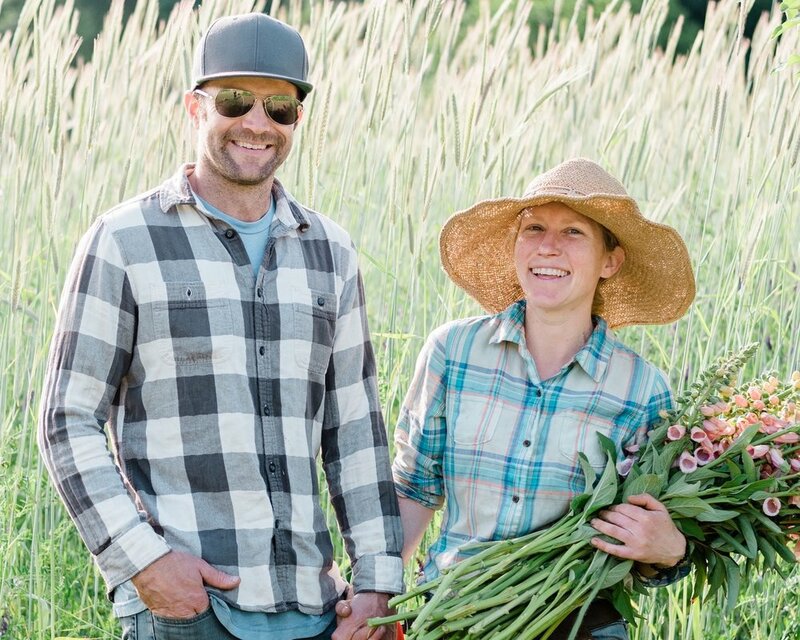 The flower farm is owned and operated by Jay Roelof and Celeste Monke. We grow flowers to brighten and inspire the lives of all who see, touch and smell them. Our goal is to reflect the spirit of each client in flowers and floral designs that embrace the beauty and bounty of the Pacific Northwest. Be the first to find out about workshops and special events!